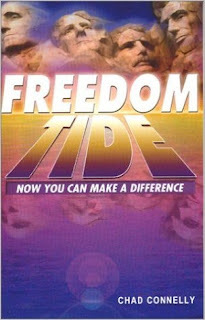 Freedom Tide by Chad Connelly is a book that should be found in the homes of every American family. This short book is to the point, well researched and documented, and written is such plain English that anyone can follow along. This book establishes the Judeo-Christian values that shaped this country, traces how we have moved away from our moral roots, and beautifully defines and contrasts liberalism versus conservatism. Connelly’s belief in the free market system is made clear throughout his book, which ends with a call to action for the reader. fReading Freedom Tide will inspire you as a free American to appreciate what you have been given, and to make the most of that opportunity.